Finally, I've finished this ultra-famous book. I first heard of it when it was nominated (and I think it won?) the Hugo's, and well, I heard nothing but good things. So when I saw that the NLB had it, I immediately placed a hold. And everyone, this was amazing! The Three Body problem starts off during the cultural revolution, when Ye Wenjie witnesses the death of her father. After a little while, it skips about 40 years, to Wang Miao and the mysterious deaths of various scientists. This is probably as good a summary as I can give without giving anything away, because the plot is seriously complicated. And it contains a lot of physics. I have to admit, all the physics stuff just flew right over my head. If I read this in Chinese, I'd probably have to give up the book. So it's a good thing I borrowed the English copy. By the way, I thought it was quite interesting that the book didn't seem to make that many waves in China. I mean, the book opens with the Cultural Revolution, and it clearly isn't portraying it in a positive light. And while I can't say much about Tsisolaris culture, they do remind me, in some odd way, of the worst of modern China. Maybe it's the ultra-utilitarian way they view lives, or the fact that they continually destroy civilisation. Or maybe I'm just reading it wrongly (this is a huge possibility). At any rate, I thoroughly enjoyed this book, and basically gobbled it up in three days (it would have taken one, but I had school and studying to do. Plus pancakes to eat for dinner). I would totally recommend this to fans of Science-fiction, especially those who want something different from the norm. It occurred to me, when I started thinking of what to write, that I am very unqualified to write this. I mean, I can't exactly review the story, since the story is famous and well... it's Alice in Wonderland. What am I supposed to say? And I'm not exactly an artist, or someone who's an expert in comics and can recognise technical skill. So, I guess I should start at the beginning. I requested this because... one more version of Alice in Wonderland never hurt. Plus, I had Alice in Wonderland tea-flavoured Chocopie with me at the time, and this seemed like the perfect book to read it with. 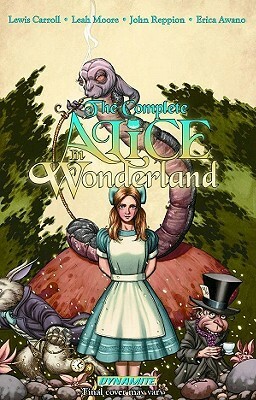 The Complete Alice in Wonderland is a faithful comic-adaptation of the book Alice in Wonderland. There is an interpretation of the text, but I don't think the illustrators have taken any liberties with it. In order words, if the book came out as a comic, this would probably be it. What I especially enjoyed was the notes on how the adaptation was done, and the lost chapter of The Wasp in the Wig. I didn't get the story, but it was interesting, nonetheless. If you're looking for the comic version of Alice in Wonderland, rather than one of the comic adaptations, then you should check it out. I think it would be a good way to introduce the classic to reluctant readers without worrying that you're presenting a different version from the original. Disclaimer: I got a free copy of this book from the publisher via NetGalley in exchange for a free and honest review. 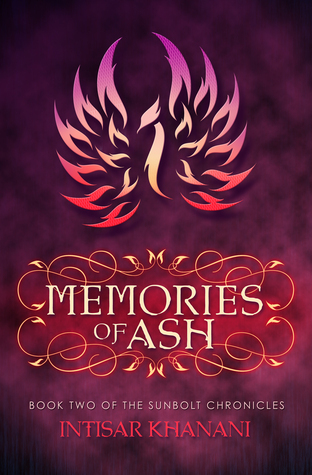 Finally, Memories of Ash is here! When I reviewed Sunbolt (link leads to review), I mentioned that I needed Memories of Ash immediately. However, when my review copy came, I realised that... I forgot what happened in Sunbolt! So first, I went back and read book one. And then I started on this. Memories of Ash continues the story of Hitomi. When the book opens, her mentor Stormwind is taken away on the charges of treason. There's a lot more, but they all mean treason. Of course, Hitomi isn't going to just sit in a safe place and hope that her mentor is fine - so she goes after Stormwind. My favourite part of the book is probably the mixing of various cultures. I recognise Japanese culture, for sure, and I'm pretty sure there's some Middle Eastern culture in there, although I'm not familiar with it so I'm not even going to guess. It's really refreshing to have a fantasy world that doesn't have Anglo-Saxon as their dominant culture. This book was definitely worth the wait. I really enjoyed it, and I'm hoping that the next book in the series will be released sooner, because I definitely want to know what happens next. Disclaimer: I got a copy of this book from the author in exchange for a free and honest review. 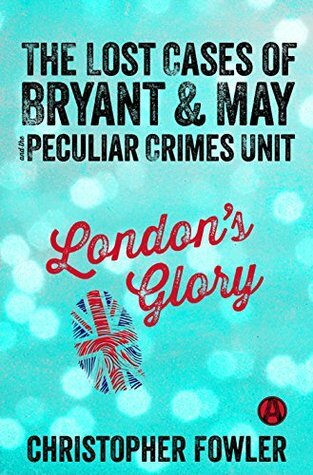 London's Glory is a collection of Bryant and May short stories, and as someone completely unfamiliar with the characters and the series, I was a little worried as to whether I'd be able to understand everything (the mysteries, I was pretty sure I could understand. It was the number of references to other books in the series I was worried about), but I really didn't have anything to worry about. The book starts with an introduction on crime novels. Just from the introduction alone, I got two book recommendations: The Notting Hill Mystery and Margery Allingham. But, it seems like the author doesn't really like Agatha Christie, because it's hard to connect with her characters and all that defines Poirot is "some Euro-pomposity, an egg-shaped head, 'ze little grey cells' and a moustache." As someone who's a fan of Agatha Christie, this made me wonder if I was going to get on well with Bryant and May. But we got into the stories, and I found myself having a good time. Bryant and May are a pair of grumpy and not-so-grumpy elderly detectives (although I'm not quite sure how their defining characteristics differ from Poirot's defining characteristics - they don't seem any realer to me, if that makes sense) investigating all sorts of strange cases. Each case is preceded with a note from the author about that story, which was a nice touch. For the most part, once I started getting into the rhythm of the book, all I wanted was the story and I tended to skip over the author's notes. I devoured everything except the last section, which was an introduction to the series. For some reason, it didn't really appeal to me. I did, however, really like the list of books that was used as a reference - if any are available for loan in my library, I might just pick it up. Hey everyone! It's another Tuesday, which means it's time for another teaser. 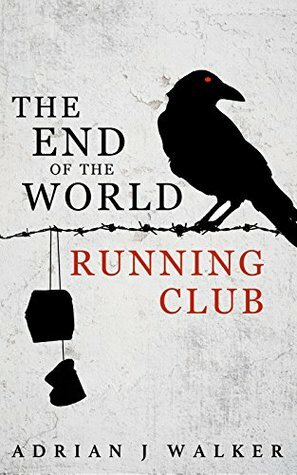 I'm currently reading The End of the World Walking Club, and I think I heard about this book from someone's Teaser Tuesday! So... it came full circle? "I can only do so much to help. Writing is just a trick after all; you turn images into words that you hope will trigger similar images that already exist in the reader's head." And that's my teaser for today. What's yours? My first Margaret Atwood book, read for the Once Upon a Time reading challenge and... I'm unimpressed. But I guess I should add a disclaimer first: I'm not what you'd call a 'sophisticated reader'. Perhaps I was in Secondary School/IB when I was actually considering literature as a uni major (never seriously though, since my heart was pretty much set on business) and did my EE on Endo Shusaku. But not now. Now, all I want is a good story well told. 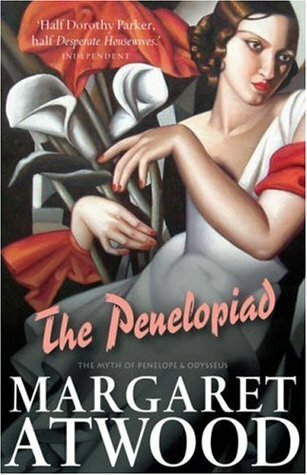 The Penelopiad is a retelling of The Odyessy from Penelope's point of view. And to me, the entire story was very bitter in tone. Everyone in the story is portrayed as a liar or proud or just plain unlikable EXCEPT for Penelope, who's the victim in all this. But she's not that likeable to me, because of the whole bitter thing. Oh, and I didn't get the twelve maids as the Greek Chorus thing. Probably because I'm an ignoramus, but it just felt like Margaret Atwood wanted to be smart, and I started skipping them halfway through. I didn't really connect with them or see anything new from the choruses I read. Perhaps there was something in the later half, though the lecture thing and trial thing I skimmed through didn't really have it either. Overall, this was a disappointing read. It's a pity too, because parts of it were enjoyable. But I didn't understand the Greek Chorus, and the bitterness throughout the whole thing was unpleasant. Anyone know any mythology retellings that they'd recommend instead? After I finished reading this book, I was so, so hungry for good (expensive) Japanese food. And ramen. And soba. And takoyaki. And sushi. And to go see that shoyu factory. In fact, I could probably use this book as a foodie guide book through Japan. 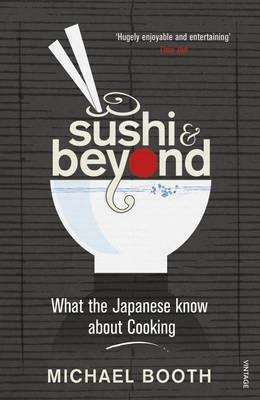 Sushi & Beyond is basically the story of one foodie (and his family's) journey through Japan, eating along the way. I must admit, I'm actually quite jealous about how much money the author has to have, to be able to fly his family all the way there, travel through Japan (from Hokkaido to Okinawa) and eat so much good food. It's definitely not something that I can afford at the moment. Oh, and he actually managed to meet Takuya Kimura, but didn't know who he was. I wish I was as lucky as him! I'm going to disagree with the "famous only in Japan" claim because I'm fairly certain SMAP is popular all throughout Asia. The book may have been published in 2009 (and so, written in perhaps 2007 or 2008? ), but apart from the price of Ramen, which can go over 1000 yen now, and perhaps some other things, the rest of the content feels evergreen. Oh, and judging by the number of times this book was mentions, the author was very clearly more than a little inspired by Japanese Cooking: A Simple Art by Shizuoka Tsuji. In fact, most of his before-trip knowledge came from there. While I don't agree with all his pronouncements on food - I remember liking some dish he didn't like, but I can't remember what it is or if I dreamt it, it was really enjoyable to read about them. He definitely packed more culinary experiences in his one trip than I have so far. Of all the places we visited in Japan, this was the one we could most see ourselves returning to live in. Small enough to be manageable, but large enough to be interesting, Fukuoka also has a special atmosphere - relaxed, welcoming, fun loving and unpretentious. Throw in a great climate, excellent shops, museums and music venues and a buzzing nightlife district and you have everything you could ever wish for in a city. Maybe the Fukuoka tourist board should use this quote. I actually think it's very very accurate, and it explains why a lot of students from Fukuoka don't actually want to leave the place when they're looking for a job. Overall, I would totally recommend this book if you're looking for a light read on Japanese cuisine. Just don't read it on an empty stomach. It's Tuesday, and I'm currently reading The Three Body Problem. Yup, that extremely famous Sci-Fi book. I placed a hold on it, and finally got it a few days ago. "Wang heard a violin playing something by Mozart. The playing wasn't very practiced, but there was a special charm to it, as though saying: I play for myself." 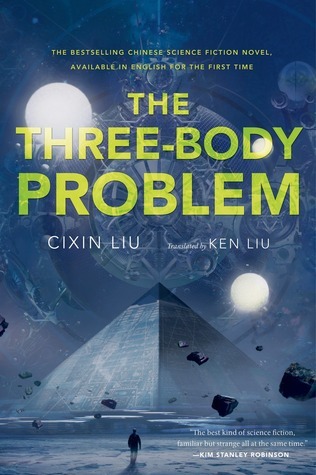 Have you read The Three Body Problem? Did you like it? 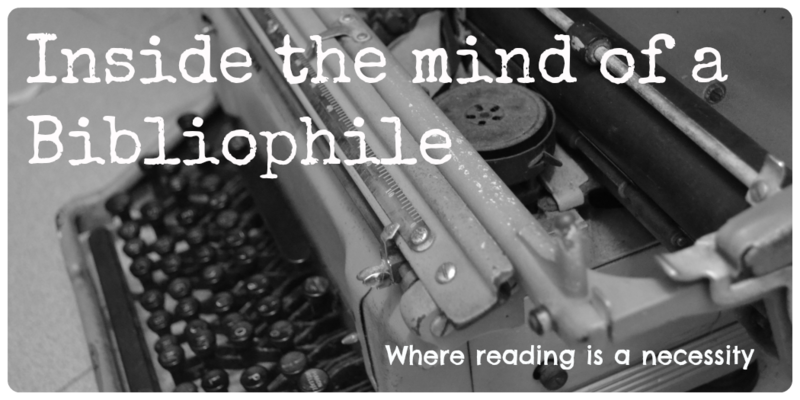 And what are you reading this week? 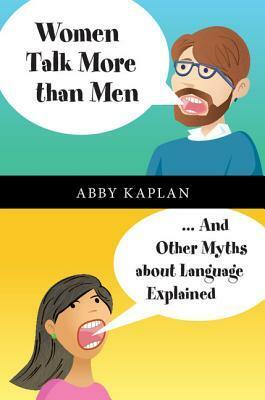 Women Talk More than Men and other Myths about Language Explained by Abby Kaplan is, like its title says, all about language. The book looks at commonly held ideas, like "Chimpanzees have the language capabilities of a 2 year old", "French is the most beautiful language" and of course "Women talk more than men" and uses past studies to see if they are true. To be honest, I requested this book from NetGalley because the cover gave me the impression that this would be aimed at a general audience. You know, one of those easy to read 'pop science' kind of books. But this was not the case. This is more or less a textbook, with exercises you can do after reading, and an emphasis on the various studies carry out. Oh, and an extensive reference list after each chapter. Thankfully, it's still readable. Much more readable than Taste as Experience, which was another book that I thought was aimed at the general public, not an academic audience. I had very few problems following the author's arguments, and the bullet point summaries at the end of each chapter definitely help. Overall, I'd recommend this book to people who are interested in language. It's not the most accessible of texts, but it's definitely not an "academics only" sort of book. Disclaimer: A copy of this book was provided for free by the via NetGalley in exchange for an honest review. Hello! I don't do this very often, but occasionally, I liveblog reviews on my Dayre. Normally when I have a lot of time. And well, this is probably way, way more detailed and longer than usual, but I wanted to share it too :D Have a good weekend! 6. Are we getting what we need? Ok, so only the first three are like SS. But I guess this is like the summary of the book before we even dive in. Chapter 2 is a brief history of how we obtained news, and the summary is: this is not new. With every advancement in technology, we gained more access to more types of news. Now, we can get the information we want when we want it, not only when the newspaper comes or when it's the 6pm/9pm/10pm news. Today, as more and more of our news comes second or third hand, as journalists increasingly are kept at a distance from original sources by communications "managers", and consumers become our own editors and sometimes their own journalists, how do we decide for ourselves whether something is true? Chapter three starts with the different types of content - "news, propaganda, advertising, publicity, entertainment or raw information." The fact that all these can be mixed reminds me of the Gushcloud hooha, where advertising was made to look like opinion. That's why we have to learn how to discern what is what. 1. Verification - the traditional model, focusing on accuracy and context. 2. Assertion - a model that values immediacy and volume. 4. Interest-group - groups with a vested interest in something (like lobby groups, companies, etc) putting out something that looks and sounds like news, but probably just furthers their own agenda. By the way, social networks and the likes are forms of communication, not models of content. How to tell what is what? For verification, look for stories that have multiple sources, that will admit what they do or do not know. Assertion is more or less based on the flow of information. The affirmation model reminds me a lot of what The Filter Bubble says, and well, I think we all know what special interest journalism is. It's just hard to identify it. Chapter 4 opens with Crewdson, who sounds like an awesome journalist, I kinda want to read some of his stuff now. So, how do we know if the story is complete? Well, the basic news story is to have the facts which raise questions. And since we're talking about facts, if you see fragments of facts but not the whole picture, that's the assertion model. If you see cherry picked facts plus lots of speculation and opinion, it's probably the affirmation model. The affirmation model also tends to use rhetorical questions. The word news implies things are me and from all around - North, East, West, South; the points on a compass spell out the word news. This chapter also talks about the types of stories there are - explanatory, authentication, etc. There is, however, the problem of time. Memory can be manipulated, even when the witness doesn't recognise it. That's why corroboration is important. Other sources include participants (who are not witnesses), expert sources (who may or may not be biased) and of course, the anonymous source. By the way, beware buzzwords, which can indicate a story is biased in someway, and is basically used to subtly try and persuade you to think a certain way. Chapter 7 can be summed as "you really need to make sure the facts are verified and in context". It's basically an elaboration of Chapter 6, with a lot more examples and methods on how you can try to verify the evidence presented. Chapter 8 asks, "do I know what I need to know?". The first half of the chapter talks more about the different methods that journalists use to discover a story, and the second half is on what we can do to "fulfil our larger responsibilities as news consumers"
Methods include: can I explain this to someone, using questions to test if you have the whole picture, making a list, and others. But again, I'm reminded of The Filter Bubble. If news is increasing personalised to us, there's an excellent chance that we don't even know what we're missing, and if we don't know that we're ignorant, how can we evaluate the extent of our ignorance? And then it's the epilogue and appendix, which doesn't seem to over anything new. It's more of a summary of the book. Overall, this was an excellent read. 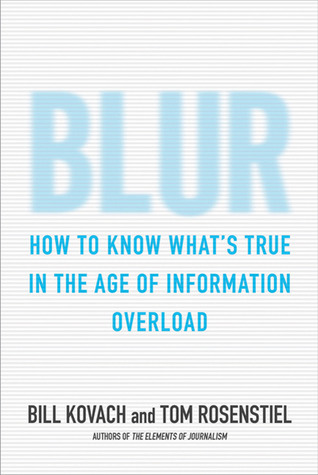 And if you read this, I totally suggest reading The Filter Bubble before or after, because both books cover the question of what and how we know, but from two totally different angles. 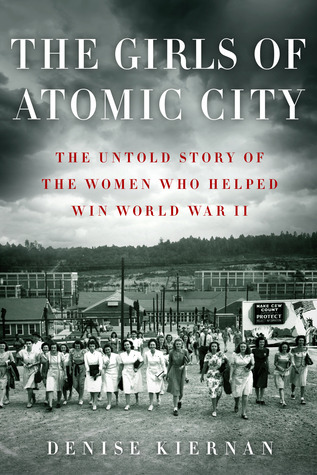 I found out about this book from a Wendy over at Literary Feline, and it immediately piqued my interest because I know nothing about the contributions that women made to America developing the atomic bomb. And now I know: they did a lot. From the research to the actual building, women were an instrumental part of the process. It's a shame that they were ignored, especially when scientific recognition was being given out. The book used two concurrent narratives - one following the lives of the women building the bomb, and one following the development of the bomb, code named "Tubealloy" in the whole book. I found this book fascinating. It's as far away as from a normal history book as you can get, especially with its focus on the lives of individual women. However, the book suffers from having too many subjects. I can't remember how many women the book profiled, but I found it hard to differentiate between them. Considering how their paths diverged, that was not a good sign. I guess that it's because none of the women ever felt fully alive to me. At the end of the book, I was very conscious of the fact that there is no 'clean' way to win war. In school, we learnt that the atomic bomb was dropped on Japan because they had no choice. When I went to Nagasaki, I learnt that this choice involved years of prolonged suffering for the Japanese. Later on, I learnt that the Japanese was already considering surrender, so this wasn't really a "no-choice" sort of thing. It was just valuing American lives of Japanese lives, and forgetting that all human lives are lives. In this book, there was an added message that the whole secrecy of this thing meant that countless people were exposed to risks they weren't fully told about. There's no follow up on the medical health of the women in the book, but considering that one man had radioactive material injected into him without his consent or knowledge, I find it hard to believe that everyone made it out unscathed. All in all, this is a fascinating read. I may not have been able to differentiate between each individual lady, but I managed to get a sense of how this community functioned as a whole, and the toll it took on them. Definitely recommended to people who like history. This was such a beautiful book. I wasn't sure what to expect from it, but it's just... Beautiful. Just beautiful and rather sad. 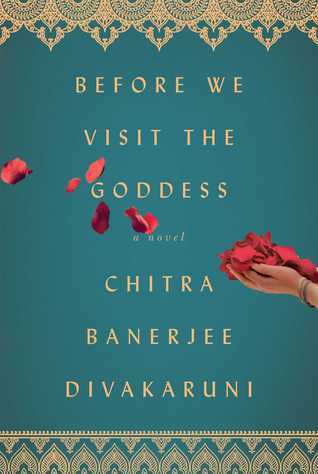 Before We Visit the Goddess is an intergenerational story about Sabitri, her daughter Bela and her granddaughter Tara. It skips around in time and point of view, but by the end, comes to form one story. All three women have made mistakes, and their mistakes have cost them dearly. Bela ran away from America and never went back, Tara dropped out of college and didn't contact her mother for a decade. All three have estranged relationships, and not all of the relationships were healed. My favourite character was definitely Sabitri, possibly because hers was the first story I read, but probably because she seemed like a strong woman. Not to mention that she didn't deserve what happened to her. I think out of all three characters, she was the most blameless. And because I think filial piety is incredibly important, I find what Bela did horrible. Yes, the same thing happened to Bela, but it seems a bit like payback for what she did to her mother, so I didn't feel as bad for her. In the second last chapter, just as I was thinking that Sabitri was going to be the only character I liked, I found my villain. I'm not going to spoil it, but it totally made me feel immense sympathy for Bela. As for Tara, I don't know if it's the first person narration (all those "I"s in there) for her chapters, but I never quite shook the feeling that she was a selfish character. Or rather, I never felt her troubles as deeply as I did Sabitri and Bela. I really wish this book was longer. There are so many gaps, and so many untold stories that I wanted to know about. I totally recommend this book to anyone looking for something on family, love and loss. It's Tuesday again, so time for another teaser! I've just finished reading this book, but since I haven't started on a new one, I think I'll just grab a teaser from it. The book is called London's Glory, and it's a collection of detective short stories! I'm really enjoyed them, and now that I'm done reading, I want to read the Bryant and May series! "Usually when he asked a woman her name he didn't bother listening to the answer, and called them darling or sweetie. His mind rushed back to the restaurant... Nothing, a total blank." I found this book on Goodreads, when I was searching for something related to fairytales for the Once Upon a Tale reading challenge, and all I can say after this is: WHERE HAVE YOU BEEN ALL MY LIFE? Once I'm done with the challenge, I am so going back and reading all the books of hers that the NLB has! 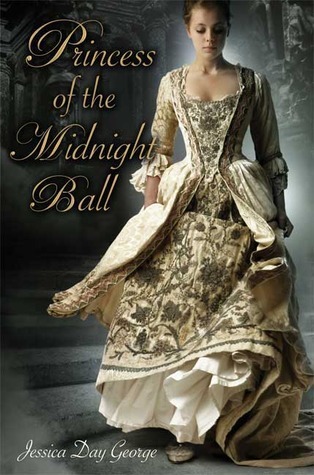 Basically, Princess of the Midnight Ball is a retellings of the 12 Dancing Princess, but from the point of view of the soldier that solves the case. In this book, the soldier is the main character. He's just returned from a long war, and finds that his only family are the Royal gardeners. So he finds work there, and runs into the princesses, including the eldest, Princess Rose. Soon, the princess are afflicted with a mysterious illness. They're exhausted and every night, their shoes are worn out. And soon, a Bishop comes and accused them of being witches. Or at least, falling under the spell of a witch. To save Rose and her sisters, Galen must use the gifts from a strange old woman, help from a gardener named Walter and all his wits. Let's start with the surprising thing: I liked the romance and totally supported Galen and Rose. I don't know why, but I'm always surprised when I find that I like a romance. I guess I'm just too skeptical when it comes to bookish relationships. But really, Galen and Rose were a really sweet couple. I guess I liked them because neither of them were perfect. They were just people that were doing their best. Plus, the romance came slowly, which is how I prefer it to develop. The other princesses were really lovely too, though there were still too many of them for me to clearly remember. I do so love little Pansy though - she has some really great scenes and she's just adorable!! Apart from the characters, the other thing that made me fall in love with the book was the world. I totally loved the interpretation of why the princess had to dance every night. It makes sense as to why they would do something so tiring. If you like fairy tale retellings, I would totally recommend this book. It's an interesting take on the story of The Twelve Dancing Princesses, and makes sense of why the eldest would happily marry the soldier at the end. Now, I need to check what other books I need to read to finish the challenge. After I finish the challenge, of course. I've got one more book to go before I finish Quest the Second (I think? ), and then I can read one more of this to finish Quest the First. Since we're about halfway through the Once Upon a Time X Reading Challenge, I thought it would be a good time to take a look at see how I'm doing. And then I can fangirl over Grimm. It's mostly for the later, even though the title may make it seem otherwise. In my "I'm totally doing this" post, I mentioned that I wanted to do Quest the First and Quest the Second. So how am I doing on that? The Folklore of Discworld, my pick for folklore. So that's half of Quest the Second done (well, for the minimum), and two-fifths of Quest the First done. I'm totally on track! Not to mention that my fairy-tale pick, Princess of the Midnight Ball has already been read, and I'll probably post the review sometimes next week! And my pick is.... GRIMM. 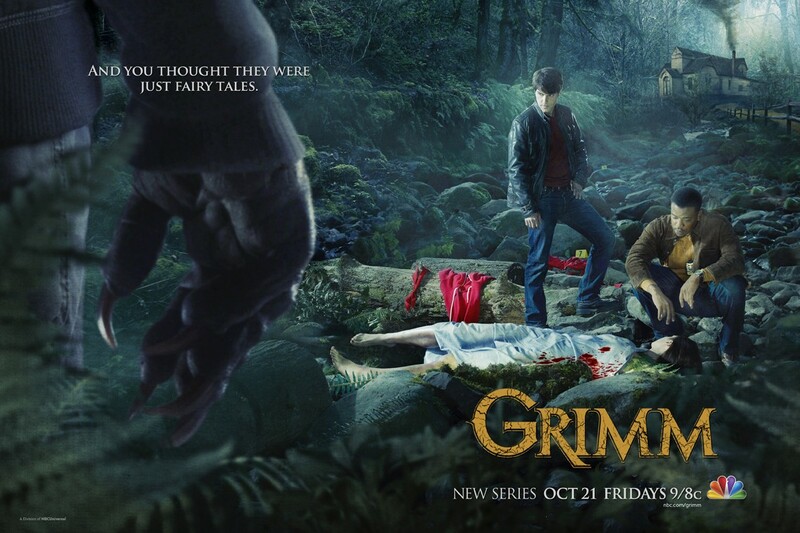 If you've not heard about it, Grimm is a TV drama about fairy tales coming to life. Or rather, fairy tale characters coming to life. These characters are called Wesen, and the people who hunt them are called Grimms. The hero of the show, Nick, discovers that he's a Grimm in the premier, but instead of doing the traditional thing, he's been carving out his own path as a Grimm, and yes, that means making friends with some of the Wesen. My favourite Wesen are (unsurprisingly) Monroe and Rosalee, a really adorable couple. Plus, their relationship over the course of the show is really, really sweet. But what I really, really like about this show is the way they're transitioning to bigger arcs as the seasons go by. The first season was really a Wesen-of-the-Week format, where Nick discovers that the homicide case he's working on is somehow related to Wesen. Only the last few chapters had a storyline that lasted beyond one episode. However, now that we're in season five (and nearing the end of it), this has completely changed. The entire season five has been dominated by the Black Claw narrative arc, and I love it, even though every missed showing of Grimm (for example, there wasn't an episode this week) makes me want to tear my hair out. I NEED MY GRIMM FIX. Basically, if you're looking for a darker twist on fairy tales, and like me, you love murders and mysteries, you have to check out Grimm. And if you're a fellow fan, let me know so that we can fangirl (or fanboy) together! This book was published in 2011, so when I picked it up, I was a little worried that the information would be outdated or irrelevant. But I was wrong, and if anything, it's more important than usual (although some of the examples are a little dated). 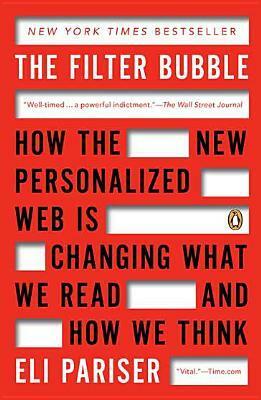 The subtitle of this book is: How the New Personalised Web is Changing What We Read and How We Think, and it basically sums up the book. In other words, this book is about our virtual lives. Currently, our Google search results, our Facebook feeds, and now our Instagram feeds, are all personalised to what the algorithms think we want. And while this is good in some ways, there are downsides to this as well. For one, it tends to create an echo chamber. Don't like someone's stance on something? Facebook will notice, and after a while, you won't see that anymore. It might seem nice, but how are we supposed to walk the metaphorical mile in someone other's shoes if we can't even see their shoes? Another thing would be the tendency for the algorithms to give us what we want instead of what we need (in terms of news). Unless we're highly engaged with the world and make a deliberate effort to seek other points of view, we might end up with a newsfeed that ignores major events in favour of Hollywood gossip because that's what we click on. Obviously, this can be detrimental to our ability to listen to other viewpoints. It may even affect our creativity. If you're interested in social media and how the Internet can change you, you should give this book a read. It's easy to read, with little to no jargon, but it talks about a very important aspect of the Internet that not many of us consider. 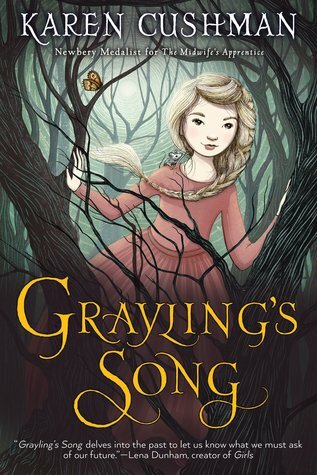 Grayling is basically the story of a girl whose mother gets turned into a tree and their grimoire gets stolen and she has to go find it and save everyone. And to do there, she gathers a ragtag team of people with magic. The good about the story: Pook, the shape-shifting, talking mouse was cute. Pook was basically what kept this at a two star level. And occasionally, there were scenes that made me chuckle, which was why it occasionally went into three star territory. Plus, the second half wasn't too bad. First, the language. It's probably going to be one of those "I loved it" or "I couldn't stand it" type of language choices, and unfortunately, I was in the latter camp. The speech just sounded so awkward throughout the whole book, and I think I was about two-thirds done before I even got used to it. The language probably interfered with the characterisation too, because I remember getting annoyed with how Grayling was developing. Second, the twist. I like to be surprised. I mean, I like to try and guess the surprise, but more often than not, I'm wrong and I'm glad I am. However, I basically saw the twist coming so early in the story. It's as though bad characters are incapable of being anything but bad, so even though I think there was supposed to be a surprise, I was totally unimpressed. It's a pity too, because by that point in time, I finally got used to the language and was ready to be entertained. These two were basically the reasons why it never went into four or five star territory, and basically pushed it down to the two to three star area. Sadly, this was not the book for me. It may have been the book for some people, but the language was definitely not something I enjoyed. If you're thinking of picking this book up (because the cover really is lovely), try and see if you can get a sample to read first. Hey everyone! How are you doing? It's the start of Golden Week here in Japan, and since I managed to get a job offer, I can actually use the holidays to relax a little before going back to the grind. Since I was at two camps last week, I'm ready for a few days of sleeping in. 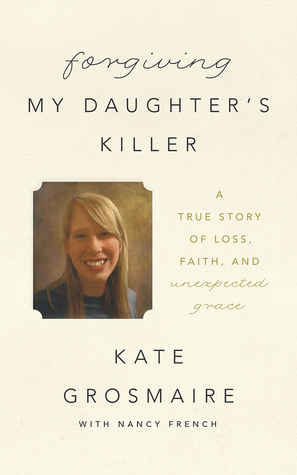 Right now, I'm reading Forgiving my Daughter's Killer by Kate Grosmaire. I never thought I would be putting her carefully selected name into an Internet search to find an article about her shooting." This is actually as far as I read, and I'm definitely interested in reading more. Hey everyone! I was going to post a review (and I've actually read quite a few books in my absence - I was at camp and had more time than usual), but I hit the "publish" button on another book today and wanted to announce it! This isn't a sequel to The Nutcracker King, but rather a collection of short stories that poke fun at the anime-loving side of me. 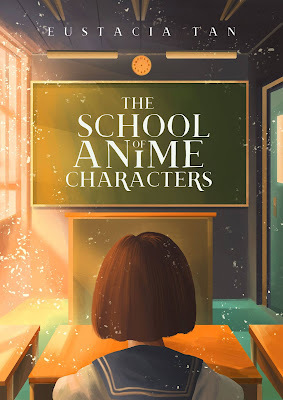 It's called "The School of Anime Characters"
All Freida wants is to be normal. Getting sent to ‘The School for Anime Characters’ was definitely not part of the plan. Being told she was the hero — well, things couldn’t get worse than that. Can her new classmates get her to embrace her inner hero, or is the world doomed to be overrun by crazy fangirls? 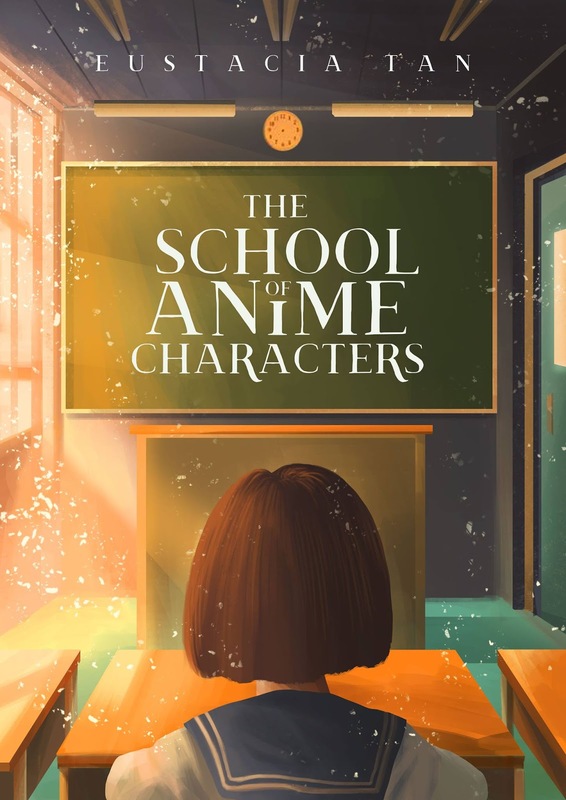 The School of Anime Characters is a collection of short stories that add up to roughly 12,000 words, or about 48 book pages. I'm not very good at announcements and stuff like this, so I'm just going to put the buy links at the bottom. And I guess I have to create permanent pages for my books now.